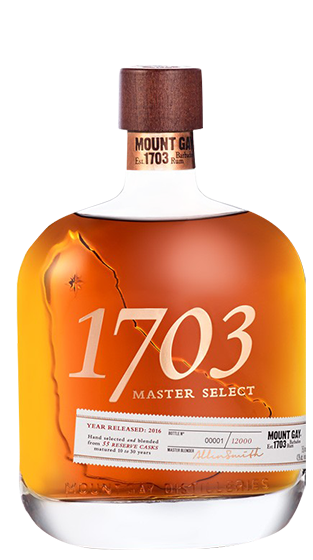 Tasting Note: The 1703 Master Select blend features a blend of Mount Gay's rarest and finest single and double distilled rums. Ranging from 10 to 30 year old rums. Annually only a single batch of 1703 is made, approximately 12,000 bottles. Master Blender Allen Smith carefully selects the blends, bottles and labels each bottle of 1703 by hand.